A super easy way to have video and voice conversations from within Slack. Our ​Slack integration brings all of the Gruveo's ​awesome features to your Slack​ channels. Get ready to have your work world rocked! 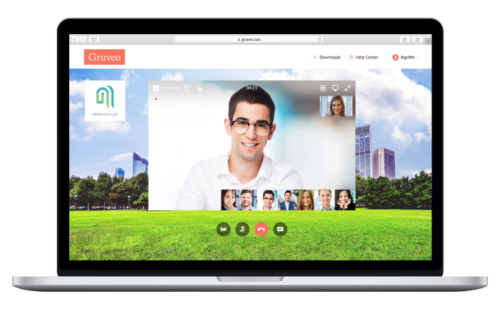 Gruveo is the answer when you want to quickly jump on a video or voice call​ ​to discuss your project. The Gruveo app for Slack​ lets you create a call room with one simple command ​and be talking with up to 12 participants in seconds. ​Gruveo runs in your favorite browser without additional installs or the need to create an account, even on mobile. 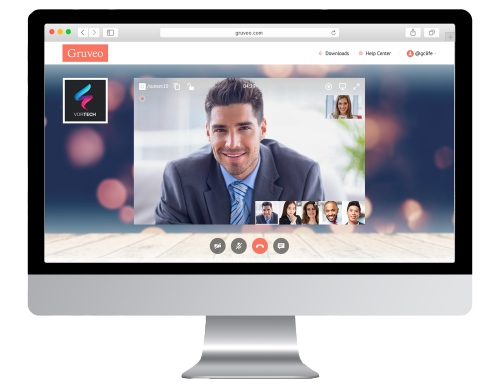 ​Calls up to 20 minutes long are free, with an unlimited calling subscription available at www.gruveo.com. 2. A link to a Gruveo call room will appear in the conversation feed. 3. Click the link to join the room in your browser. 4. Once other call participants join the room, your voice or video call will begin. 5. When you're done, click the red button at the bottom of the call window to end the call. * If you want a custom name for your Gruveo room, just type /gruveo myroomname instead.